I have always had curiosity about settlement and the history of community development, which is one of the many reasons that I chose to pursue a career with the Ellensburg Downtown Association. A few days ago I picked up the book Ellensburg which is written by Andrew Caveness and the Ellensburg Public Library as a part of Arcadia Publishing’s Images of America book series. While I have always known small bits and pieces of Ellensburg’s history, this book gives readers a full story. 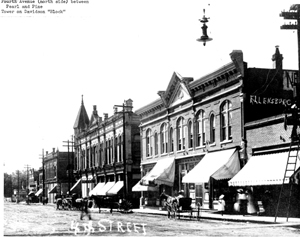 Join me in this blog series as I take a step back in time and explore the history of downtown Ellensburg. If you enjoy what you read and find yourself wanting to learn more about the history of Ellensburg, and Kittitas County as a whole, I recommend you visit the Kittitas County Historical Museum or Pearl Street Books, and get yourself a copy of Ellensburg by Andrew Caveness. One of the first documented visits to the Kittitas County, dates back to 1814 when Alexander Ross paid a visit to the Kittitas Indians in search for horses to purchase. Documents show that Ross was in awe of the widespread valley, which extended “as far as the eye could see”. Roughly 47 years later, in 1861 Andrew Jackson “AJ” Splawn, traveled through the Kittitas Valley during a cattle drive. He recalled the valley as “the loveliest spot he had ever seen”, so it is no surprise that just a few months later AJ Splawn relocated from Oregon to the Kittitas Valley. Between the years of 1814 and 1861, other important members of the Kittitas County’s history settled here. Some of these important figures include Frederick Ludi, John Galler, Carl Sander, Father Charles Pandosy, and more. 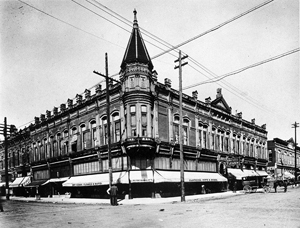 Robbers Roost, is one of downtown Ellensburg’s the most well-known pieces of history. Robbers Roost was the first business in the Kittitas Valley, which started out in a small cabin purchased by AJ Splawn in 1870. The cabin purchased by Splawn was originally home to settler William Bud Wilson. Wilson was one of Ellensburg’s first non-native settlers. Only a year later, in 1871, a man known as John A. Shoudy, and his wife, Mary Ellen Shoudy settled in the Kittitas Valley. Upon their arrival they purchased Robber’s Roost from Splawn and expanded the original cabin into a larger storefront. A few years later, Shoudy renamed Robbers Roost, to “The Family Store”. 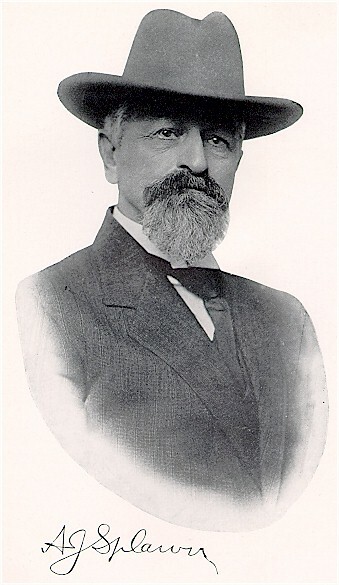 John A. Shoudy was a great business man who originally came to the Kittitas Valley as a representative from Seattle, to urge the development of a road that would lead from Seattle to Yakima County over the Cascade Mountains. 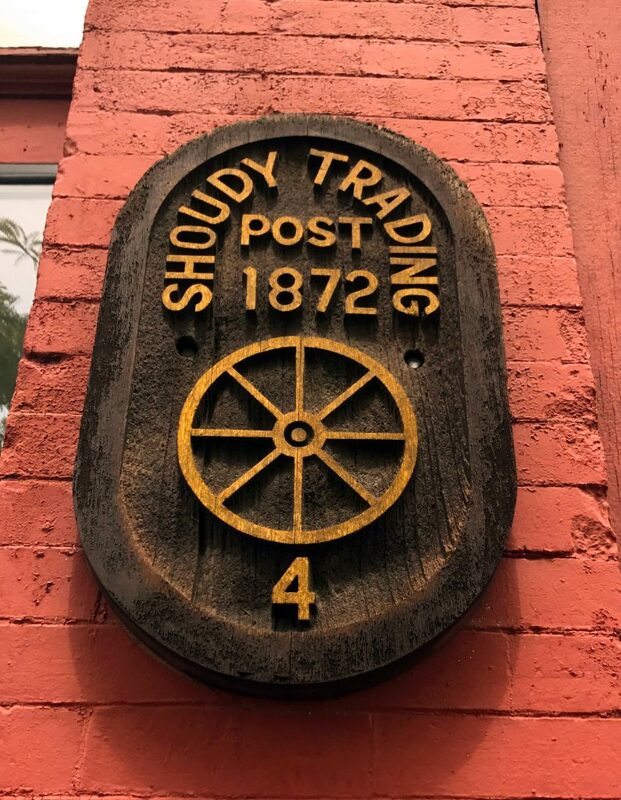 He was also a member of the Territorial Legislature and in 1875 Shoudy began to subdivide land in what is known today as Ellensburg’s Downtown Historic District. Shoudy sold plots of land to both settlers and businessmen alike. 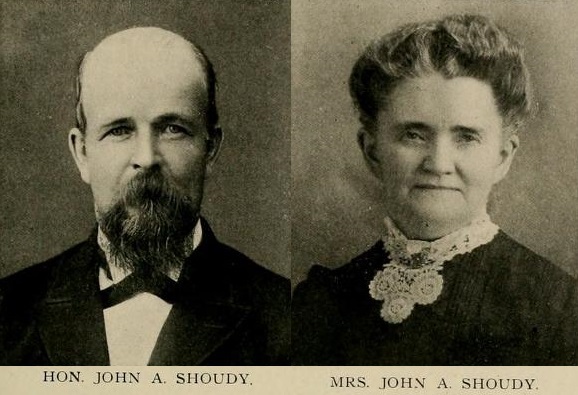 In 1883 Shoudy became the founder of Ellensburg, which he named after his wife, Mary Ellen Shoudy.